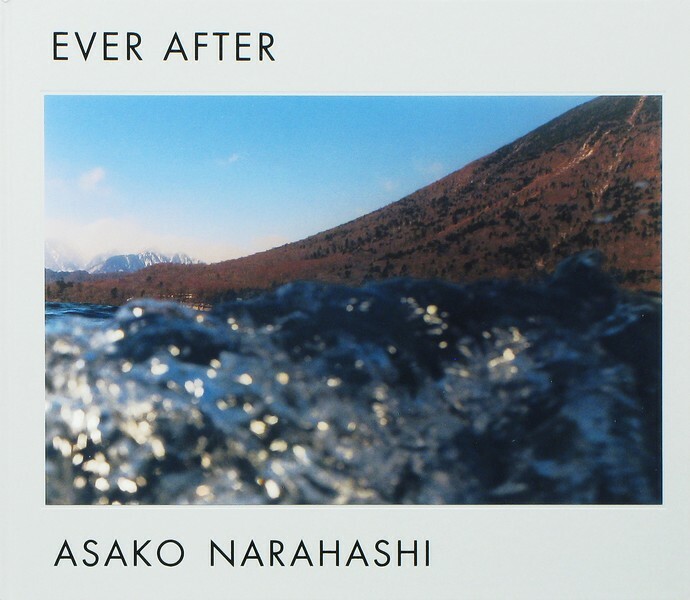 Book Review Ever After By Asako Narahashi Reviewed by Karen Jenkins In Ever After, Asako Narahashi has gathered a taut, disquieting collection of photographs made while floating in the sea or other waters, her primary practice since 2001. Beneath its slip cover is an elegant book with lush paper and a tipped-in cover image of a flatten plane of sparking sea and barren slope. Ever After. By Asako Natahashi. Osiris, 2013. 72 pp., 58 color illustrations, 10¼x11¾". In Ever After, Asako Narahashi has gathered a taut, disquieting collection of photographs made while floating in the sea or other waters, her primary practice since 2001. Beneath its slip cover is an elegant book with lush paper and a tipped-in cover image of a flatten plane of sparking sea and barren slope. The photographs that follow are variations on the theme in fresh combinations of water and land — looks in toward the shore, in which scale and distance are nebulous measures. There’s little here to tie Narahashi’s work to sea — or landscape traditions – beyond the novelty of her shore-ward gaze, she eschews both strict technical control and expected formal devices. Aside from one image that nods to the crisp classical with a mirrored inversion of snowy mountains in the water’s reflection, she finds her beauty in ambiguity — tapping into an elemental magic that recalls the pinhole or camera obscura. Water is many things here — liquid and solid; a glistening, faceted band and dull, thick mass. Ever After. By Asako Natahashi. Osiris, 2013. An interview between Narahashi and Akihito Yasumi included in Ever After, despite feeling a bit stilted in its translation from the Japanese, gets at Narahashi’s view of photographic imagery as situated between dreams and reality. Tied to her last photobook of similar material, half awake and half asleep in the water from 2007, this idea seems to be largely about lucidity and control, and informs both her approach to shooting and subsequent imagery. Narahashi rejects the idea of pre-visualization, embracing rather those images that most differ from what appears in her mind’s eye. She does not look through the viewfinder of her semi-submerged camera while shooting; rather she makes her choices by watching the water’s movement and cedes the rest to chance (and good editing). In Narahashi’s photographs, a fuzzy, sun-washed building looks aflame with a background of smoky clouds. Figures in blackened silhouette poke out of sheets of opaque waters, their significance unclear.